(The Root) — By all accounts, Tonya Reaves' life was spread out before her as she prepared to enter a new phase of adulthood. She was engaged to be married and had a 1-year-old son, according to the Huffington Post. But her life was cut short on July 20 when the beautiful 24-year-old with the winning smile died after an abortion at a Planned Parenthood clinic in Chicago. Now all that's left is an incomplete canvas and a grieving family as they struggle to find answers to her death, which has been ruled accidental. "It happened so fast," Reaves' twin sister, Toni Reaves, told WBBM News. "She was just fine one day, and then the next day she was gone. We're just trying to figure out what happened." Reaves underwent a cervical dilation and evacuation, according to the Cook County Medical Examiner's Office. It is believed that she died from a hemorrhage, and her pregnancy was determined to be a contributing factor. She is thought to have been in her second trimester, the family's lawyer, Corey Meyer, told The Root, but it is unclear because they are still gathering medical information. The examiner's office has ruled the young woman's death an accident. "We have requested medical records," Meyer said. "It is my understanding that she was about 14 to 18 weeks, but I don't know for sure until I see the records." The Reaves case has been thrust into a rancorous and vociferous national debate between liberals and conservatives over the pros and cons of abortion rights. Planned Parenthood has figured prominently in the debate because conservative lawmakers and activists have targeted the group as a major provider of abortions and have made public funding of the organization a major issue in the presidential-election campaign. The Susan G. Komen for the Cure Foundation, the world's largest breast-cancer charity, came under fire earlier this year when it announced, under pressure from conservatives who oppose abortion, that it would no longer fund breast-cancer screenings for Planned Parenthood. Officials later reversed the decision and restored funding after experiencing considerable backlash. Abortions make up 3 percent of all Planned Parenthood health services. The bulk of services include pregnancy prevention, cancer screenings and general health care, the group says. 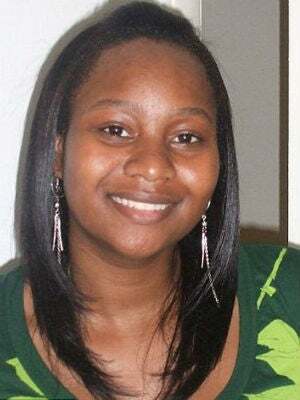 Reaves' death was brought on by complications that affect less than 0.3 percent of abortion patients, according to the Guttmacher Institute, which promotes sexual and reproductive health and rights, including abortion rights. The group also reports that the risk of death associated with abortion increases with the length of pregnancy, from one death for every 1 million abortions at or before eight weeks to one per 29,000 at 16 to 20 weeks — and one per 11,000 at 21 or more weeks. African-American women obtained 40.2 percent of all pregnancy terminations in the U.S. in 2008, compared with white women, who obtained 52.4 percent, according to the Centers for Disease Control and Prevention. The numbers show that black women receive abortions at a disproportionately higher rate than white women (African Americans make up 13 percent of the U.S. population). And while agencies such as the Guttmacher Institute and Planned Parenthood attribute the higher abortion rate among blacks to a higher incidence of unintended pregnancies, some pro-life groups say it's because abortion clinics target African-American communities. To support their case, they say that Margaret Sanger, founder of Planned Parenthood, was a racist whose goal was to extinguish the African-American community through abortion, and that is why the group has ensured that clinics are available in abundance in black neighborhoods. The Too Many Aborted billboard campaign, which shows black babies on the verge of extinction, has provoked national outrage at all levels. Meanwhile, last year the Guttmacher Institute released statistics (pdf) showing that less than 10 percent of abortion clinics are based in predominantly African-American neighborhoods. But those statistics are a hard sell to some conservatives. Take Troy Newman, president of Operation Rescue and Pro-Life Nation in Wichita, Kan., for example. He seized on Reaves' death to call on President Obama to rebuke Planned Parenthood. "[Obama] butted heads with law enforcement over Trayvon Martin, saying if he had a son, he would look like him," Newman told The Root. "It stirred anger. My question to the president is, does Tonya Reaves look enough like his own daughters that he should investigate and defund Planned Parenthood? It's chilling. A horrible death has occurred." Planned Parenthood of Illinois President and CEO Carole Brite issued a statement on Sunday, according to NBC Chicago. "While legal abortion services in the United States have a very high safety record, a tragedy such as this is devastating to loved ones and we offer our deepest sympathies. Planned Parenthood of Illinois cares deeply about the health and safety of each and every patient." For their part, the family is trying to stay above the fray as they grieve; they are also trying to find out exactly what took place, Meyer said. "We are trying to determine what happened at Planned Parenthood and at Northwestern Memorial Hospital, where she was taken later," he said. "It's my understanding that she was fine before that. "This is a tragedy," he said. "Everybody's going through a grieving process. It's very, very, very surprising and sad that something like this would happen." Lynette Holloway is The Root's Chicago bureau chief.